Special savings and quality service for those who appreciate the truely distinctive. It was a clear and crisp October 30th in 1980 when AnnSandra opened their doors for the first time. Having completed extensive research , armed with qualifications from the legendary Julius Garfinckel & Co. and experience as a retail buyer, Sandra Ann Davidson welcomed the challenge of opening her first store. She was young, resilient, industrious, and had a strong determination to succeed. She never set out to specialize in fine tabletop china. 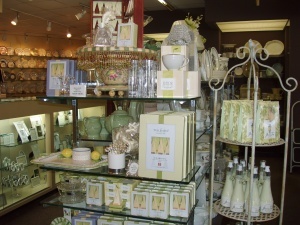 Instead she highlighted giftware and designer handbags. The back half of the store featured Christian Dior, Morris Moskowitz, and Judith Leiber among other notables. The front half was filled with the best giftware imaginable including Fitz and Floyd who also produced the first mix and match dinnerware. Since AnnSandra carried the F&F giftware, customers asked if dinner services could be ordered as well. Soon, tabletop wares occupied the space where saddle bags and evening bags once hung. Right from the start, the needs of the customers came first. 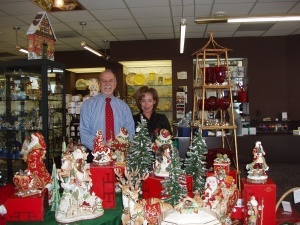 Over the ensuing thirty years, AnnSandra has continuously provide an amazing range of quality giftware; lower prices than any competitor in the Washington area; and, a dedication to quality customer service... now serving second and third generation customers. 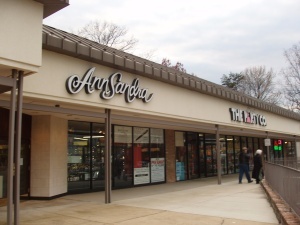 Located on John Marr Drive just 1.5 miles from the Beltway, AnnSandra has served the Annandale community and indeed, the entire Washington region. Enter the store and you are warmly greeted. The AnnSandra staff, although not related, is a family. Together they cheerfully search and research customer requests, provide complimentary store gift wrapping alon g with exquisite custom gift wrapping and shipping services. Those customers unable to visit the store will receive the same top notch service over the phone. Thousands of wedding gifts are purchased via phone each year, wrapped and shipped. Nothing goes out of that store without it looking just right. With AnnSandra you can confidently let your fingers do the walking. What gives Sandi and the store’s General Manager, Fred Carey, the most pleasure is searching out especially good buys to pass on to the customers. In the foyer of the store, merchandise is offered at a 50% discount or better. The stock is constantly being changed and replenished. New merchandise, just seen at New York markets, arrives monthly. Almost every major gift and tabletop manufacturer is represented along with numerous new and innovative lines. AnnSandra will also match any sale price from an authorized retailer, but rarely needs to do so as their prices are always better every day of the year. If you are looking for Waterford, Mariposa, Michael Aram, Juliska, Vera Bradley, Lenox, adorable & specialized baby gifts, or their newest line, Herend; look no further. Do you need a wedding, birthday, anniversary, or friendship gift? Do you need awards for a golf or tennis tournament? Do you need corporate or retirement gifts? How about a gift for a congressional staffer? Look no further. Their special order department, directed by Fred, will take the pain out of decision making and provide you with the finest ideas and merchandise available in the marketplace. When the pet shop on John Marr Drive closed, AnnSandra and The Party Company decided to expand their stores. Design drawings are well underway showing that The Party Co. will move into the old pet shop first and AnnSandra will expand into the Party Co. space doubling the size of their premises. New gift lines are being investigated by owner Sandi Davidson and General Manager Fred Carey, at markets all over the country. The enlarged floor space will also allow expansion of many specialty lines such as their baby,bridal, and housewares departments. AnnSandra has commanded a primary presence in Annandale and indeed, Washington retail for thirty-two years. 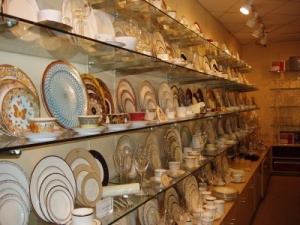 They have continuously provided an amazing range of quality giftware at lower prices than any competit or in the region. Famous for their customer service and exquisite gift wrapping, they are now servinng second and third generation customers. If you are looking for exquisite china or crystal; holiday or everyday collectibles; unique gifts with panache or whimsy; a baby, wedding, shower, or housewarming gift, or simply, a cup of tasty tea, look no fur-ther. AnnSandra has it all. Located on John Marr Drive just 1.5 miles from the Beltway, and one block south of Little River Turnpike, you will be pleased to see that parking is plentiful and there is a full service in-store shipping department. Annandale eagerly anticipates the expansion. We can’t wait to see what’s new! 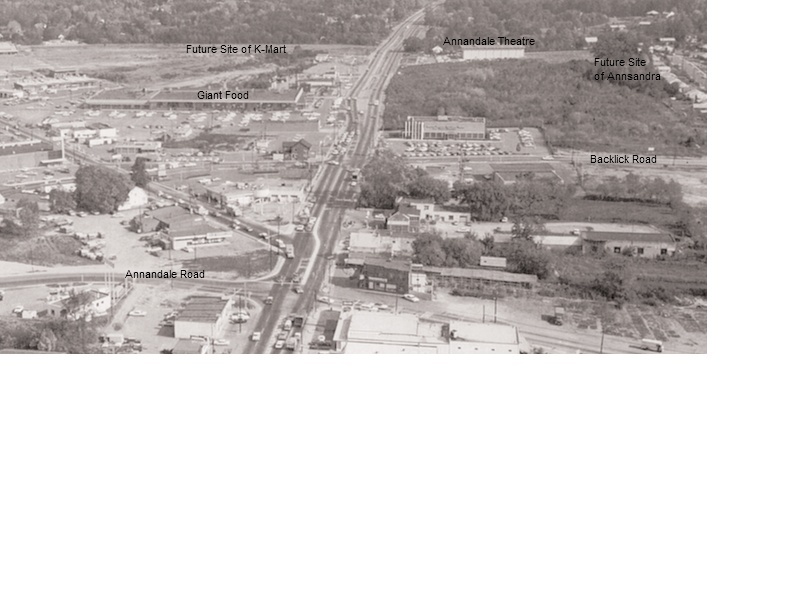 In 1967, Sandi’s father, Lloyd Raport, a savvy and visionary businessman, purchased a track of land on what would become the south side of John Marr Drive. Lloyd had a number of large retail establishments in prime Maryland locations but Annandale was to be his first in Virginia. Annandale was just minutes from every major roadway in the area and enjoyed a healthy and diverse business base, a strong consumer demographic, and a high standard of living. It was a prime location for commercial development. Once planning and zoning approval came through, along with the construction of John Marr Drive, Lloyd built his shopping center just one block back and perched slightly above Little River Turnpike. Juvenile Sales (a beloved toy store) anchored the center with the well advertised Jun Rhee Karate occupying space as well. Duck Chang’s found its home in this center and remains there to this day. Mr. Raport noted the growth year after year in the Annandale community. This was a strong indication that an ever growing customer base existed then as it does now. More than ever before Annandale could use more visionaries like Lloyd Raport. A larger and diversified commercial retail market would benefit our community. Wouldn’t it be nice to shop in Annandale, rather than fighting traffic to the malls? AnnSandra stands as a testament to the lloyal patronage Annandale residents will pay to a quality retailer. The photos used in this article are from the Annandale Chamber of Commerce Archive and not available for reuse without written permission.